The "Microcosm Terrestrial and Aquatic Landscape Habitat" is a Main Basin Pond 4 surrounded on three sides by artificial rock, "Miniature Mountains" 3a, 3b, 3c or Natural Looking Imitation Rocks. The fourth, front side has no "Miniature Mountains" or Natural Looking Imitation Rocks to enclose the Main Basin Pond. 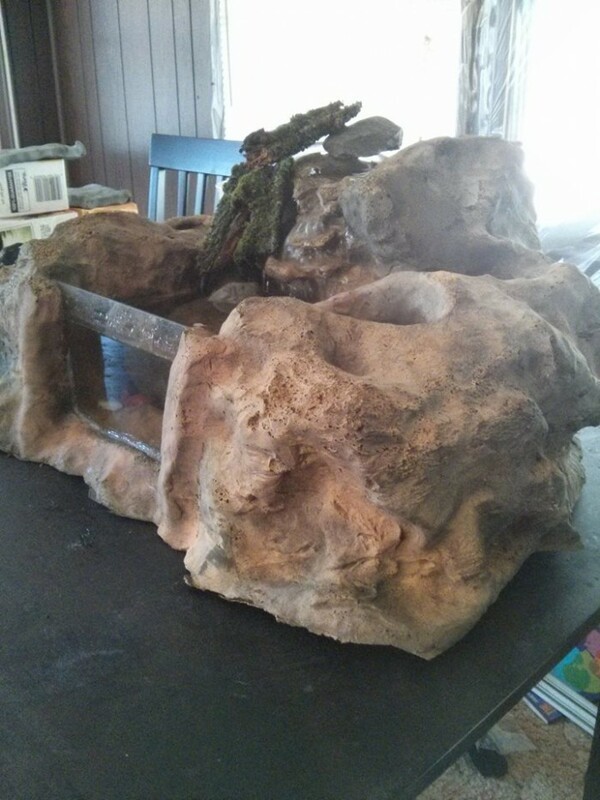 Instead, here I adhere on a Pane of Glass 2a to the imitation rock surface using Silicon Sealant 2b or other sealants 2c: A pond-aquarium hybrid! The "Miniature Mountains" are higher than the water level in the Main Basin Pond. On the top or sides of the "Miniature Mountains" is an Upper Pool 5. Water in the Main Basin Pond is circulated up to the Upper Pool using a Submersible, Electric, Aquatic, Pump 8. From the Upper Pool, the Water then flows down a Water Course to the Waterfalls and back to the Main Basin Pond to oxygenate the water. 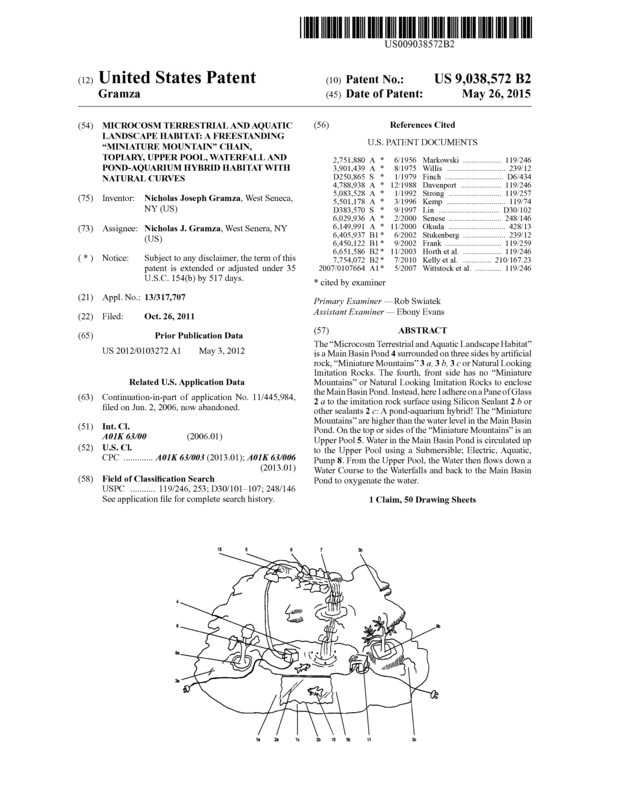 Page created at 2019-04-25 18:41:28, Patent Auction Time.